Industry experts and military leaders say the Department of Defense should collaborate with enterprises to come up with a new satellite architecture that could support military functions amid the rising space threats, C4ISRNET reported Thursday. 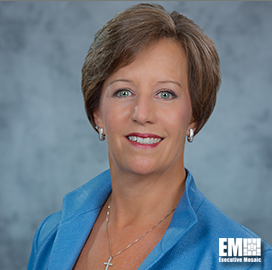 Rebecca Cowen-Hirsch, senior vice president of government strategy and policy at Inmarsat Government, said commercial satellite providers could help the military quickly build and deploy new platforms to support missions. “An architecture for the future in ISR, communication, PNT or any function — it doesn’t need to be exclusively military or exclusively commercial. It needs to be an integrated architecture that leverages the best of breed,” Cowen-Hirsch said. “We want to leverage existing assets until the end of their lives, while at the same time achieving interoperability with a diversity of sources,” she added. Cowen-Hirsch said the military needs to change its perspective when it comes to adopting a new satellite infrastructure. “They need to break out of the sunk-cost evaluation, this fallacy that says: We have already spent so much money, we should do any future investing in the same way,” said Cowen-Hirsch.